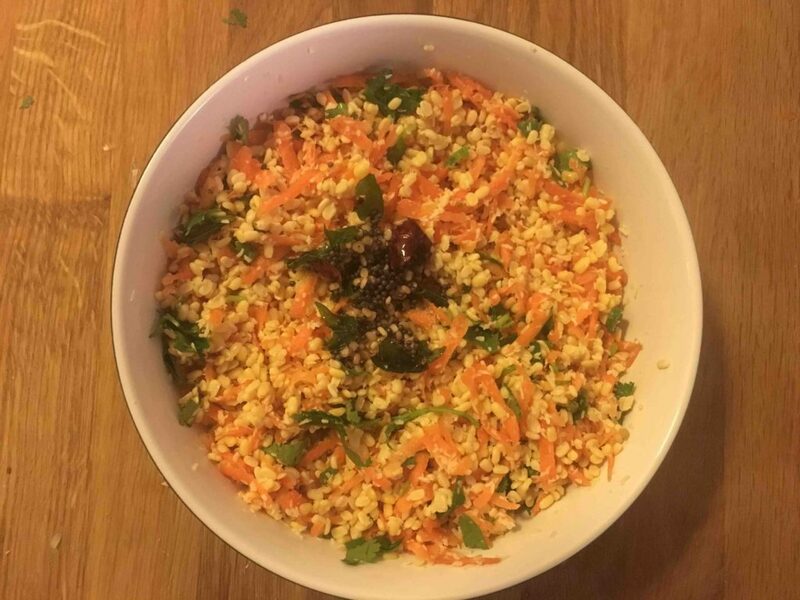 moong dal carrot salad | hesaru bele carrot kosambari recipe with detailed step by step photo recipe. 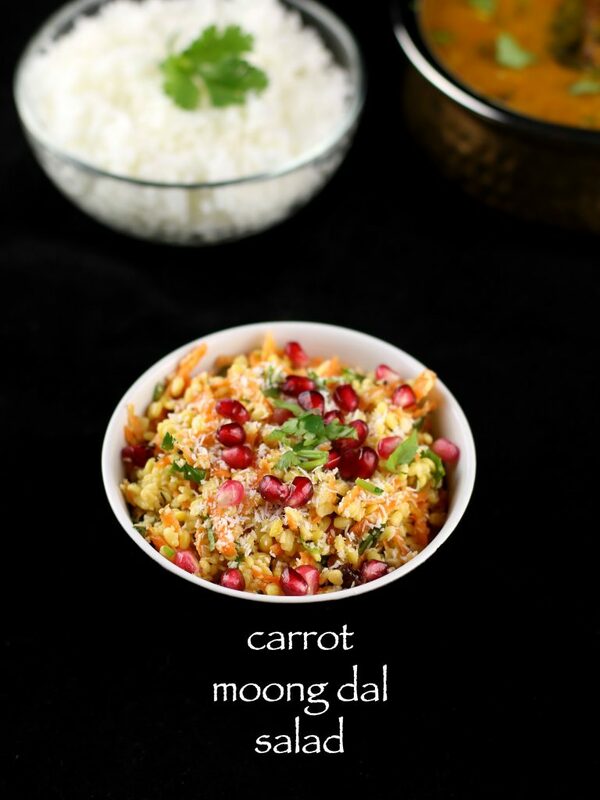 moong dal salad is the most healthiest and easiest salad along with carrot. 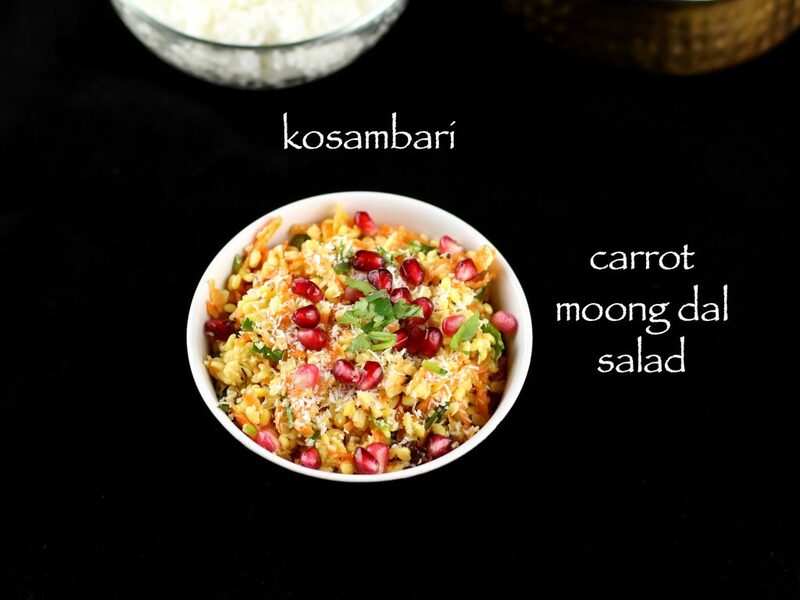 moong dal carrot salad | hesaru bele carrot kosambari recipe with step by step photo recipe. this is a typical south indian salad served in every function of ours. 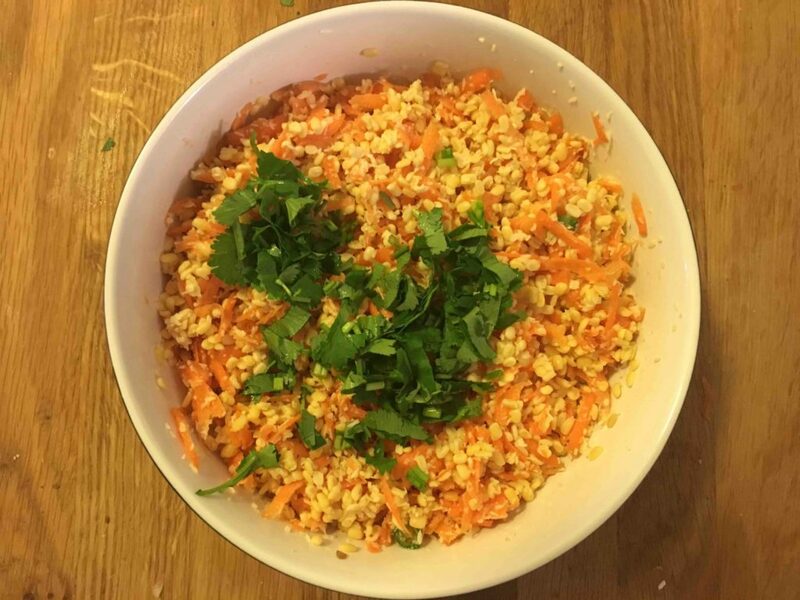 i love to prepare salad as it is very simple, healthy and tasty dish. we south indians, eat this salad as it is or with hot steamed rice. however, i recommend you to try this for having in morning breakfast or a evening snacks. furthermore, this salad is so attractive, that you can pack to your kids lunch box as well. 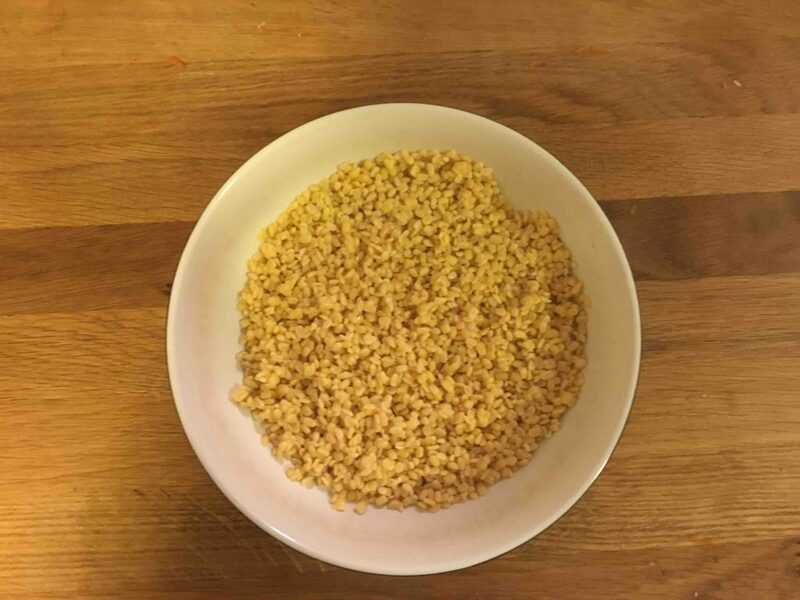 kosambari is a delicious, protein rich lentil and good for weight reduction. it is also popularly called as moong dal salad, kosumalli or hesarubele kosambari. most of all, it is a must side dish of every festive meal or wedding feast. moreover, i learnt this salad recipe from my mother in law. she prepares almost all kind of healthy salads with variety of lentils. the crunchy bite of pomegranate makes the salad more juicy and tasty. kosambari is easy and quick to make. 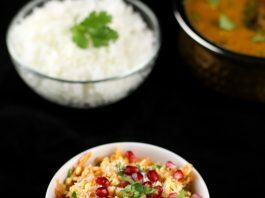 firstly the moong dal is soaked in water and later mixed with grated cucumber, fresh coconut, raw mango, coriander leaves, pomegranate seeds, sprouts or any healthy veggies of your choice. furthermore, make sure to soak the moong dal atleast 10 minutes as it helps to easily digest. moreover, the tanginess is got by lemon juice. so always add salt and lemon juice just before serving. else the salad will turn watery. finally, if you like kosambari, then you would certainly love my other side dish recipes. especially, palak paneer, stuffed brinjal, molake kaalu palya, aloo bhaji, suvarnagadde palya, sabbasige soppu palya, batani gasi. 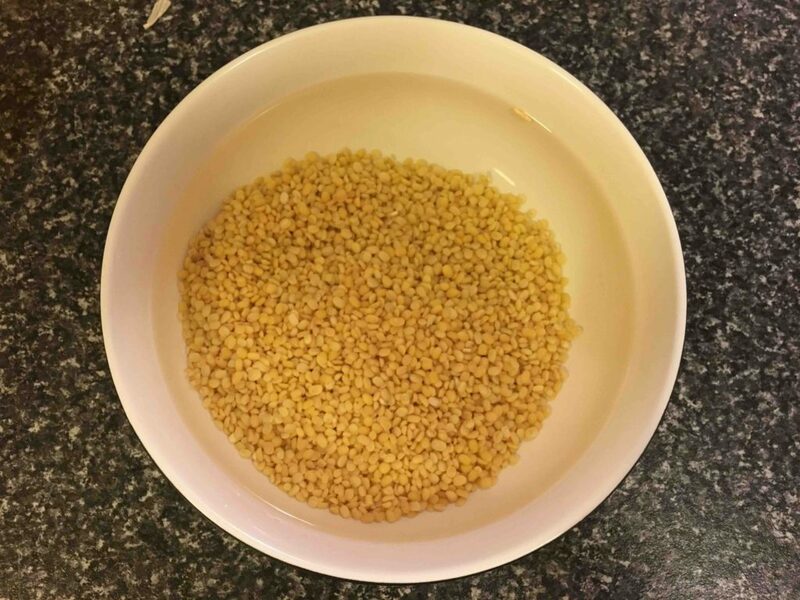 firstly, soak moong dal for half an hour to one hour and drain off the excess water in a strainer. furthermore, leave for some time so that all water fades away. 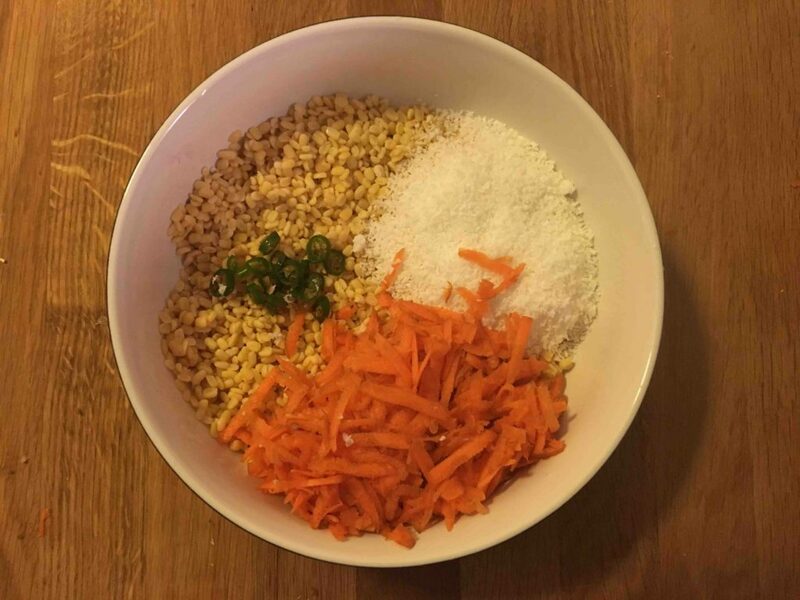 in a mixing bowl add strained moong dal, grated coconut, chilli and grated carrot. just before serving, add salt and lemon juice and mix well. furthermore, in a small pan heat oil and crackle mustard seeds and add urad dal and fry until it turns red. add curry leaves and asafoetida and fry for few more seconds. 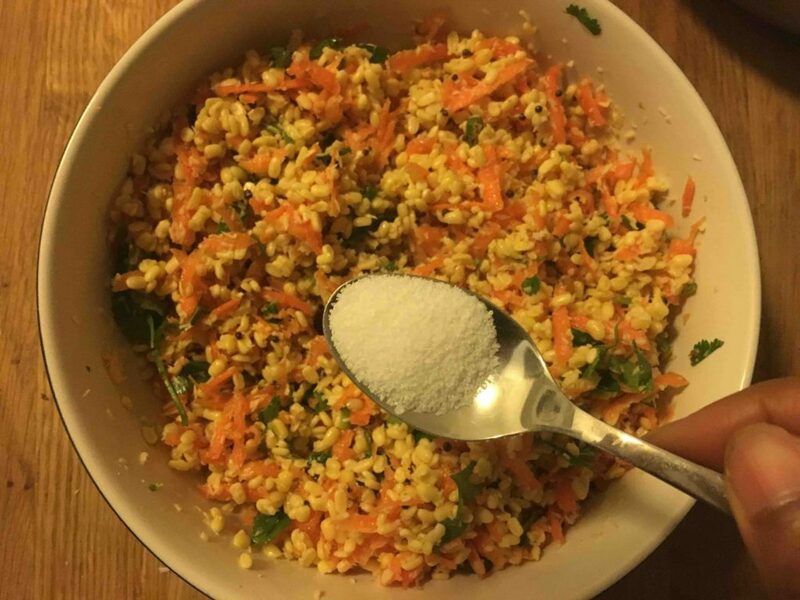 add the seasoning to the mixed salad and mix it nicely. finally, garnish it with pomegranate and serve it with rice or you can eat plain. 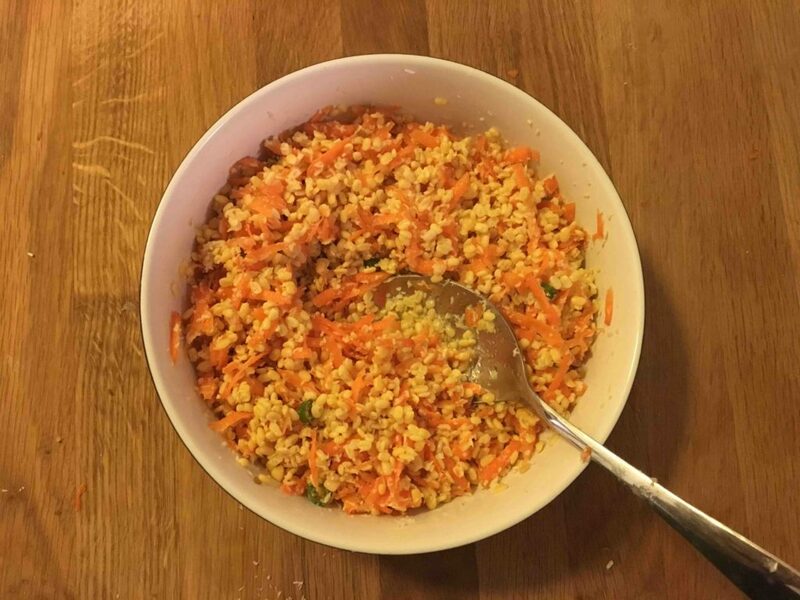 furthermore, in a mixing bowl add strained moong dal, grated coconut, chilli and grated carrot. moreover, just before serving, add salt and lemon juice and mix well. firstly, soak the moong dal well and drain off the water before preparation. 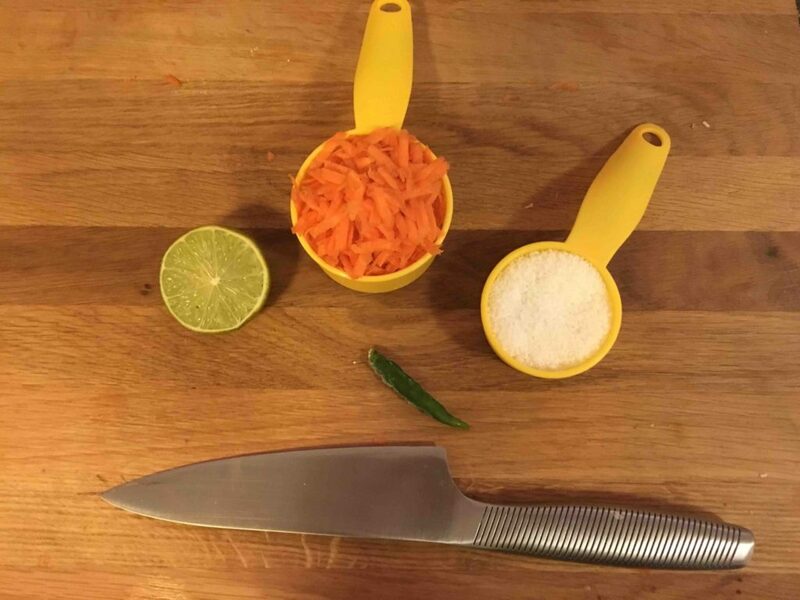 moreover, add grated cucumber and raw mango for more flavours. also salt at the time of serving. else it will be release water. furthermore, prepare the salad just before serving, if you make it ahead the salad will leave lot of water. finally, i have used desiccated coconut, but it taste great with fresh grated coconut. please post more salad recipes as i am trying to loose weight too as less oil and no sugars.